New Updated 2th 2in1 4GB Digital Voice Recorder+USB Flash Memory Stick Drive1. 2.1 See the diagram above, push the switch down, it will power on , red led and green led flashes and goes out, it start recording immediately. 2.2 See the diagram above, push the switch up, it will power off and save recording. 2.3 Ensure there is at least one USB port in your computer (check your PC user’s manual). 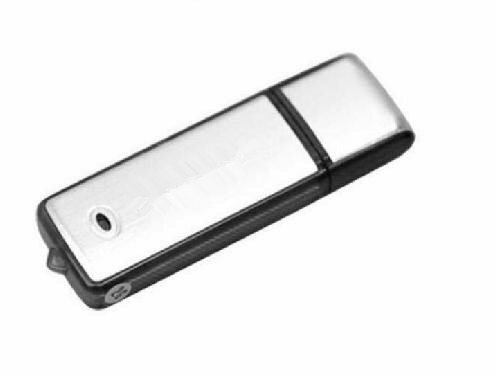 2.4 After switch off the keychain recorder, connect it to the USB port of computer. 3.1 While recharging, Green LED will be on. After2- 3 hours, Recharging is done. 3.2 After fully charged, the battery could support about 14hours continuous recording. 3.3 4GB flash memory could store 20hours recording in WAV format. 3.4 when the battery exhaust, the keychain recorder will autosave the recorded file. 3.5 NO use bad MP3 charger, it will destroy the keychain recorder! a) Ensure the Volume is up. b) Ensure that your voice files have not suffered data loss due to improper operation. C) Ensure the audio playing software in your computer can play WAV format audio file.